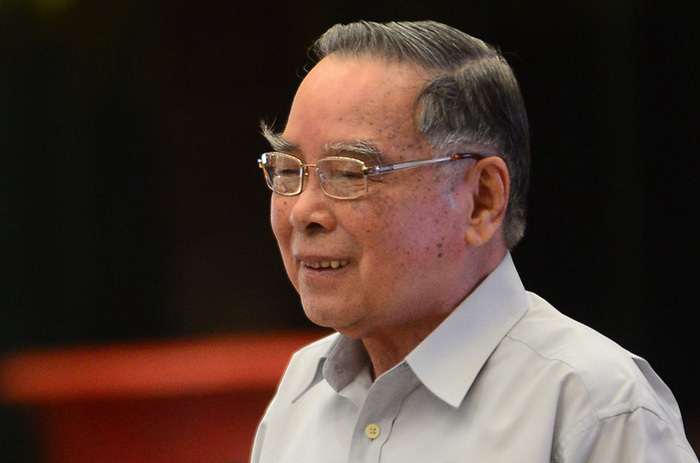 Former Prime Minister Phan Van Khai, head of the Vietnamese government in a nine-year period ending 2006, passed away at his home on early Friday, aged 85. The former Politburo member and premier died in Ho Chi Minh City’s outer district of Cu Chi at 1:30 am, the Vietnam News Agency reported, citing the board of health care services for senior officials. Phan Van Khai, born on December 25, 1933 in Cu Chi, was one of the high-ranking Party and state leaders in the first phase of the country's renewal and nation-building cause. PM Khai was therefore active and determined to build the institution under the spirit of renewal to utilize the capacity of all economic sectors, especially the private one, together with opening door to the world and integrating internationally, according to the Vietnam News Agency. One of the legacies of his 1997-2006 administration is the law of business, taking effect in 1999, which is seen as a breakthrough that remove numerous barriers for the private economic sector to thrive. On top of the law on business, other remarkable achievements of his working-term include the introduction of fundamental laws in the first phase of the door-opening process, the annulment of hundreds of licenses, and the involvement in many tough talks to negotiate on Vietnam's admission to the World Trade Organization. In terms of foreign affairs, the former premier also contributed hugely to the improvement of the Vietnam-U.S. bilateral ties, highlighted by his historic visit to the U.S. from June 20 to 25, 2005, when he met with the then President George W. Bush. PM Khai was then the first Vietnamese leader to pay an official visit to the U.S. since the war ended in 1975. The Party and state have presented PM Khai the Golden Star Order and the 55-year Party Membership Badge in 2014, in recognition of his dedications to the country's revolutionary cause.